WASHINGTON — After a fuel tube problem sidelined all operational F-35 aircraft last week, more than 80 percent of jets have been cleared to return to flight, the F-35 joint program office stated Monday. In a Oct. 15 statement, the JPO confirmed that the U.S. services and international partners have completed inspections of their F-35 inventories for faulty fuel tubes. The aircraft that are not impacted by the bad tubes — which are a component in Pratt & Whitney’s F135 engine — are back in flying status. One of the F-35's distinguishing features is driving up rework on the aircraft, Lockheed's program head said Monday. It is still unclear exactly how the defective fuel tubes impact the jet’s performance or how serious a safety threat they pose during flight operations. Joe DellaVedova, a spokesman for the JPO, declined to discuss the specific problems that led the program office to call for a fleetwide inspection, saying that details could not be released until the Marine Corps completes its accident investigation. Also still up in the air is whether the Pentagon or Pratt & Whitney will be stuck paying the tab for retrofitting the fleet. Spokesmen from the U.S. Air Force, Marine Corps and Navy declined to lay out exactly how many of their aircraft had been impacted by the faulty fuel tubes. However, as Lockheed Martin delivered its 300th F-35 in June, 20 percent of the operational F-35 fleet can be estimated to be about 60 aircraft across the U.S. and international operators. The JPO called the fuel tube problem an “isolated incident” that would not impact F-35 deliveries. 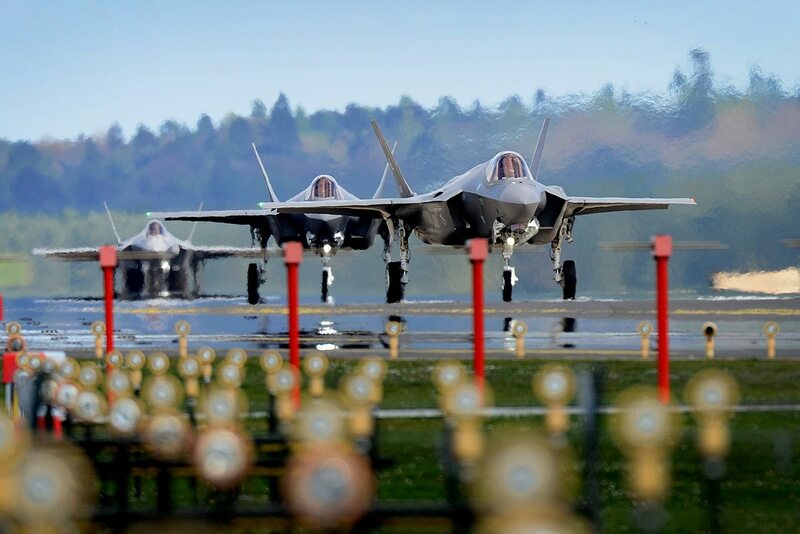 A total of 91 F-35s are planned to be delivered to the U.S. military and foreign customers this year. The problem with the defective fuel tubes is the latest in a string of recent supply chain issues that have plagued F-35 prime contractor Lockheed Martin and engine manufacturer Pratt & Whitney, and comes as Defense Secretary Jim Mattis sent a memo directing the Air Force, Marine Corps and Navy to boost the F-35′s mission capable rate to 80 percent. The Pentagon halted F-35 deliveries in March amid disagreements over whether the department or Lockheed should foot the bill for retrofitting part of the fleet that had not received corrosion-preventing primer in certain fastener holes. Deliveries resumed in May once the parties hammered out an agreement — although it was never revealed to the public exactly how the expenses would be paid off. In 2016, certain F-35As were grounded after it was found that coolant lines inside the jets' fuel tanks were rimmed with faulty insulation, which was prone to disintegrating.